People who care about using American-made products should be able to easily identify whether a product is truly made in the USA. Take pride and comfort in knowing that our Phifertex® line of Designed Fabrics is made in the USA. When you’re trying to find the perfect fabric for your outdoor DIY projects, there’s a lot to consider, but choosing a textile made in the USA is a great start. There’s an earned reputation for quality that comes with buying fabric made in the USA. American-made fabric is also a greener and more ethical choice. 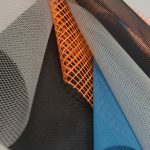 Because it’s not flown around the globe, the fabric’s carbon footprint is greatly reduced, and tighter environmental and labor laws in the USA ensure that everyone involved in its manufacturing process is well-protected. Finally, as you know, buying American is important to our economy. By supporting American manufacturing, you help to support local business and create jobs right here in the United States. Companies have to meet stringent standards to claim that their product is made in the USA. The Federal Trade Commission (FTC) has strict rules about stating, or even implying, that something is American-made. In order to comply with FTC standards, a business must show that “all or virtually all” of a product is made in the USA before they can advertise it as American-made. Regarding textile manufacturers in the USA, all “made in USA” fabric must be designed and woven in this country. 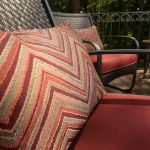 When it comes to outdoor fabrics, durability is a major concern. 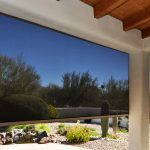 You need material that holds up under all weather conditions, is easy to clean and maintain, and stays looking great for several seasons in the sun (or rain). It’s a lot to demand from a material, and cheaper imported fabrics aren’t always up to the job: they may fade in the sun, stain, rip or tear at the slightest provocation. When you buy made in USA fabric, you know you’re getting a superior product manufactured to the highest standards with the best available materials. 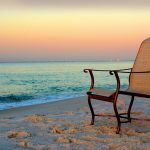 USA-made fabric may be a slightly larger investment up front, but better quality and better durability mean that you won’t need to replace it after a summer, saving you money in the long run. 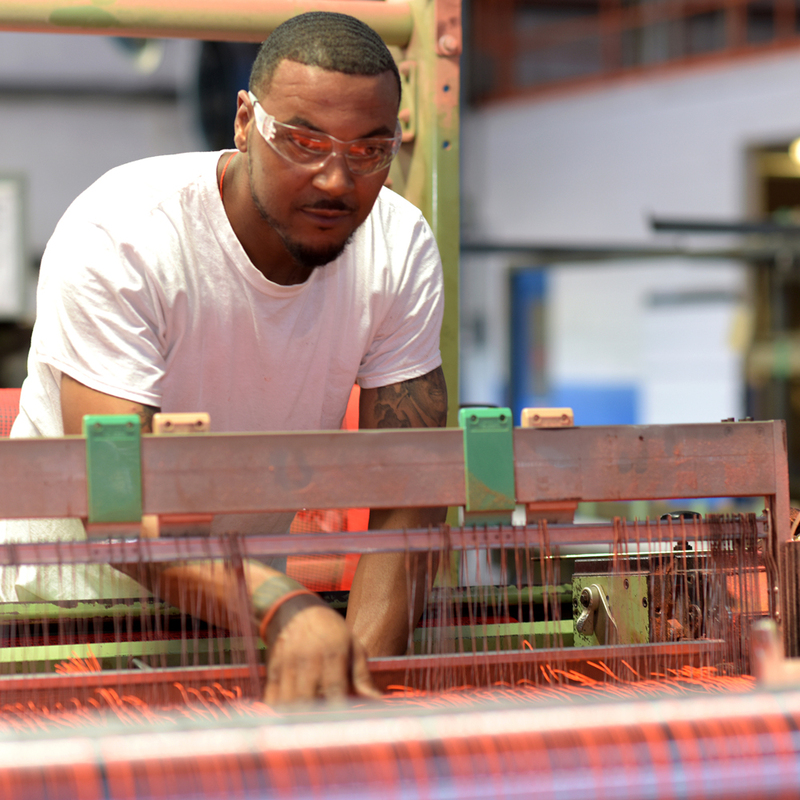 Phifer’s main manufacturing and specialty weaving facilities have been headquartered in Tuscaloosa, Alabama since 1952, when we first began weaving insect screening. Today, our product teams include engineers and expert weavers who are constantly innovating and testing new ideas year-round. That innovation and expertise -- combined with our tried-and-true manufacturing methods -- stand behind our most durable high performance outdoor fabrics, Phifertex®, as well as our custom designed wall covering solution, Murotex®, and our marine flooring products. All of our Phifertex​ fabrics are proudly made in the USA. Engineered for applications where dimensional stability and strength are a must, such as sling furniture, these rugged fabrics will stand up to the most demanding conditions. They are also easy to work with: they can be easily sewn with a home sewing machine and, because they don’t fray when cut, they lend themselves to quick no-sew projects like placemats and table runners. Water resistant, UV/fade resistant, stain resistant, and easily washable, Phifertex​ fabrics are also infused with Microban® protection, an antimicrobial treatment designed to fight mold and mildew before it takes hold. 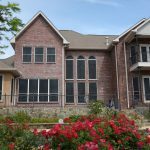 Phifertex​ fabrics hold GREENGUARD® Gold Certification and are also covered by a three-year warranty. Some of Phifer’s most intricate design and weaving work goes into these fabrics, including geometrics, florals and tapestry weaves. 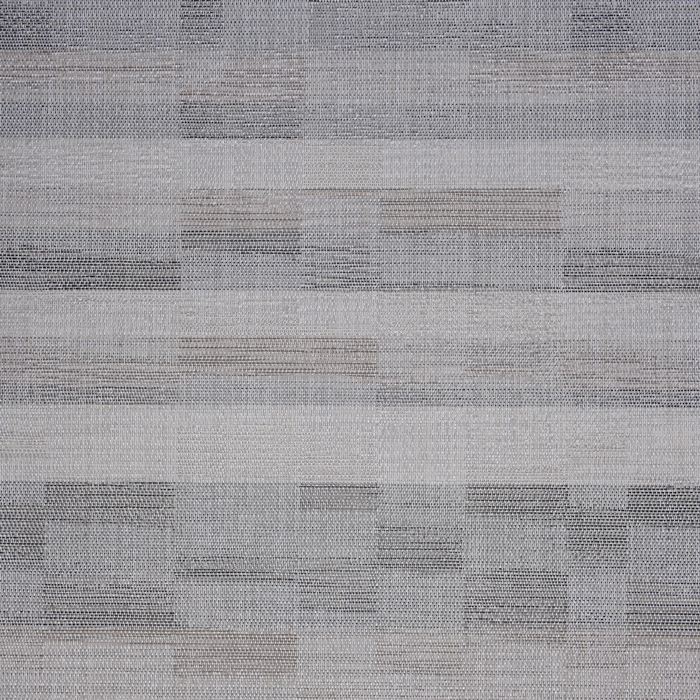 Made from 100% PVC, Jacquard is a supremely sturdy sling-weight fabric that is as attractive as it is tough. If you have an application that calls for extra strength, Phifertex Plus​ is the answer. Available in a sophisticated palette of solids and stripes, these hard-wearing fabrics will please even the most discerning design eye. 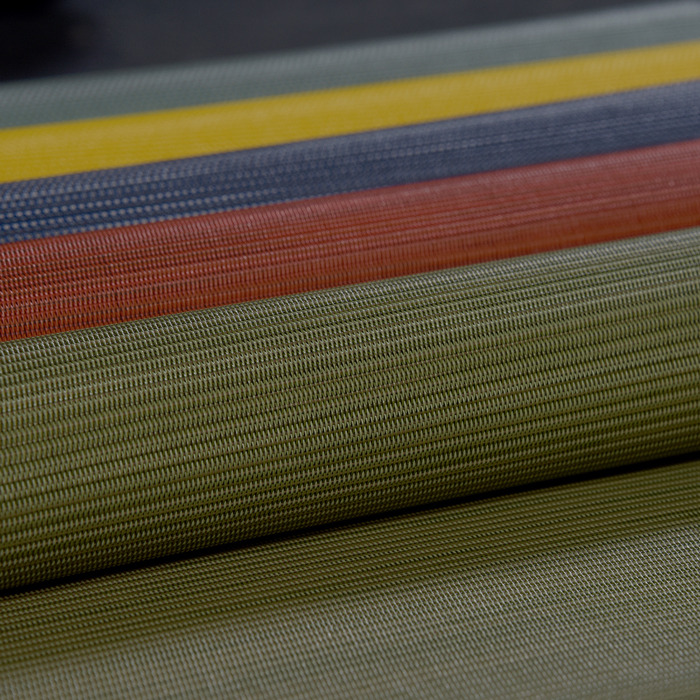 The dimensional strength of PVC blends beautifully with soft olefin yarns to create a wonderful indoor-outdoor material, suitable for both sling furniture and cushion projects. 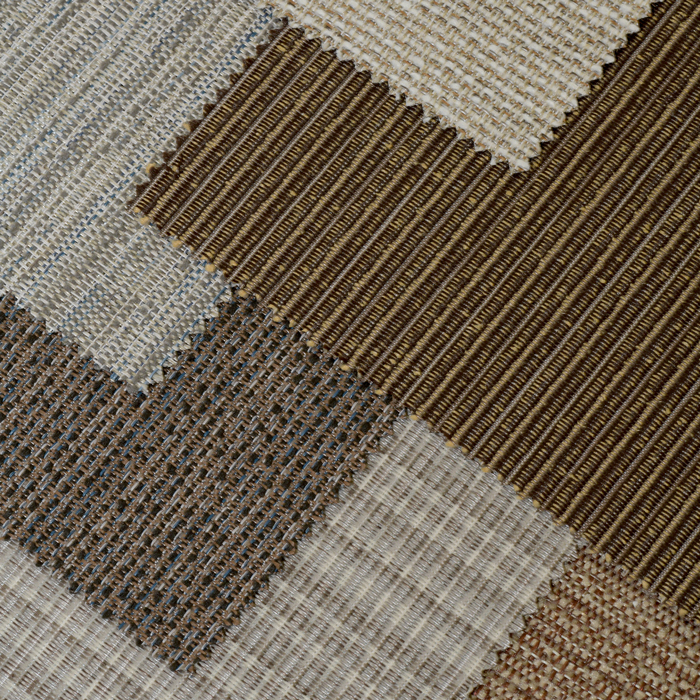 Our PVC/Olefin Blend fabrics can be found in a gorgeous array of solids, stripes, tapestries and weaves. 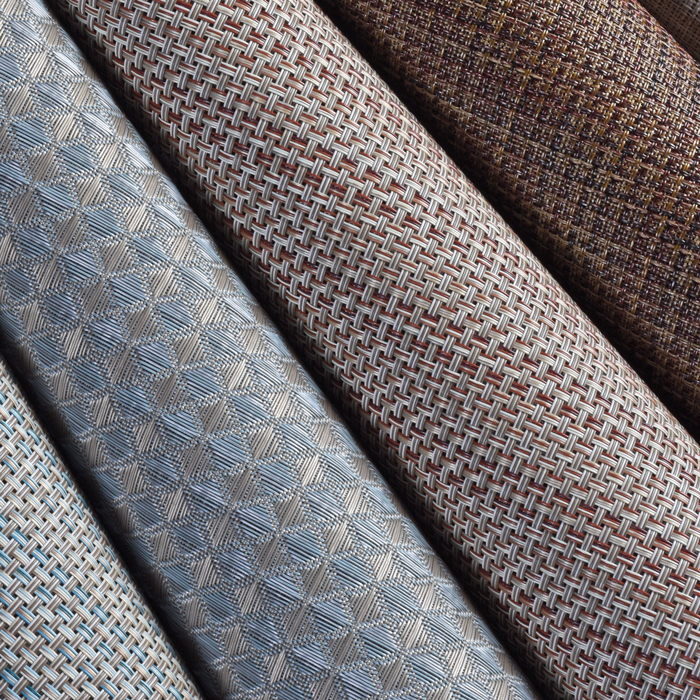 With dobby weaves designed to mimic nature’s textures, these fabrics provide a low maintenance natural look for your furniture. All the beauty of wood, rattan and wicker without the work. Want a preview of just how incredible our Made in USA fabric might look in your backyard? Try the Phifer Outdoor Fabric Visualizer. With the help of our sample images, this tool lets you mix and match textures, weaves and colors to see what best catches your eye. Do you have more questions about Phifer’s made in America fabric? Don’t hesitate to get in touch! We have the answers you need, and our friendly experts are available to speak with you via phone, email or live chat. We can also help you choose the USA-made fabric that’s right for your project and link with our online and local retailers, who carry everything you need.